our family-owned and -operated bakery has been producing small-batch baked goods in the local, slow food tradition. We create a wide variety of unique breads and a few outstanding sweet things, always using the freshest, all-natural ingredients. Everything we make is hand-mixed, hand-cut, and hand-formed. We bake with local ingredients and support local agriculture whenever possible. We use flours from Sacramento Valley wheat, milled just up the road in Woodland. We use Mariani nuts from Winters, local honey, and Ghirardelli chocolate. Our sourdough starter is based on a pure strain of Lactobacillus sanfranciscensis sourced from the UC Davis Food Science and Technology department. That's what farm-to-oven means to us. Read more here. In 2016, the Kaliskys’ son, Lorin, who had returned to Davis after having lived in Paris for more than 14 years, took over much of the day-to-day operations of the bakery. Lorin brings new energy and focus to the bakery, as well as a renewed emphasis on local ingredient sourcing and supporting the family farms and agricultural producers of Yolo County and Northern California. Today, The Upper Crust Baking Co. remains one of Northern California’s premier artisan bakeries, as well as one of its oldest. 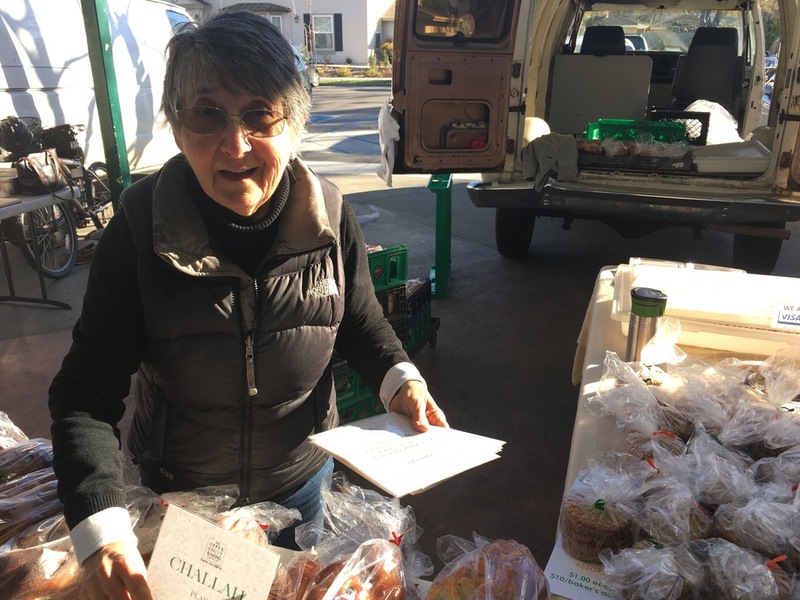 You can find our products (and sometimes Trudy and Mo, their children, or their grandchildren) at farmers markets throughout Northern California.